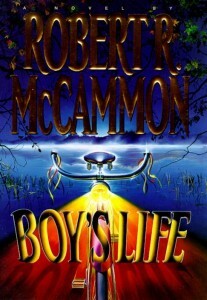 Robert McCammon was a Featured Author at the 2019 Catfish Book Festival in Athens, AL. The Athens-Limestone County Public Library broadcast a Facebook Live video for the writer panel, “Apocalypse and You,” featuring speakers Robert McCammon and AJ Coleman. The video below differs from the video on Facebook in that the audio levels have been boosted. Reviews of Cardinal Black are starting to appear. The Publishers Weekly review can be read online (mild plot spoilers). As usual, McCammon dazzles the reader with gritty historical detail, vivid local color, and a cast of memorable grotesques…. Despite the violence and seriousness of the mission, McCammon is able to interject moments of kindness and even humor throughout. German publisher Luzifer Verlag has acquired the German translation rights to Boy’s Life. Luzifer has already published a German edition of The Border, as well as the first two books in the Matthew Corbett series. They are publishing a German edition of Mister Slaughter in November 2019. Presumably, their edition of Boy’s Life will see print sometime in 2020. More info as I know it…. Cardinal Black book launch @ Alabama Booksmith: April 20! Cardinal Black, Readings, Robert McCammon Comments Off on Cardinal Black book launch @ Alabama Booksmith: April 20! 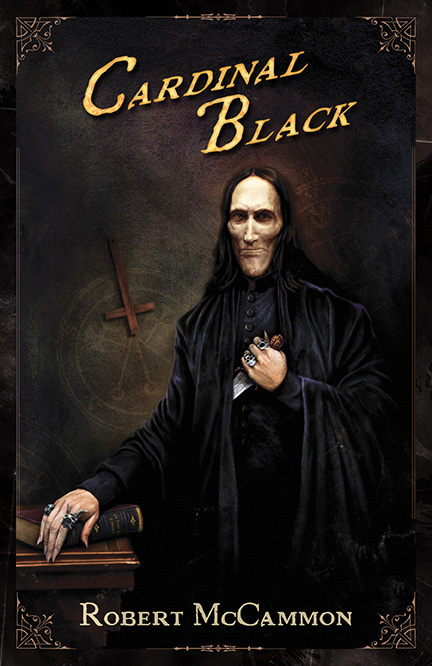 The book launch for Cardinal Black will take place at The Alabama Booksmith in Birmingham, AL, on Saturday, April 20, 2019, at 2 PM CDT! Robert McCammon will be on hand for a reading/Q&A session and for a book signing session. Come get your copy of Cardinal Black in person, and feel free to bring your old unsigned copies. Robert McCammon will be happy to sign them, as well. The Alabama Booksmith will have the following signed hardback titles at the event: Boy’s Life, Cardinal Black, The Five, Freedom of the Mask, He’ll Come Knocking At Your Door, The Listener, Providence Rider, River of Souls, Swan Song, and Tales from Greystone Bay. Of course, if you can’t make it to Birmingham, you may order through www.alabamabooksmith.com. EVERY COPY preordered from the Alabama Booksmith will include a signed and numbered photograph of the author dressed in colonial period attire. The earlier you preorder, the earlier numbered photo you will receive. In addition, for every book preordered, you will receive an entry into a drawing for a beautiful signed and lettered copy of Robert McCammon’s classic Swan Song in an elegant slipcase, released to commemorate its thirtieth anniversary. It features a magnificent gatefold by artist David Ho and comes with a parchment certificate authenticating provenance and signed by Robert McCammon. Swan Song was recently named one of the top 100 popular books in American history, according to PBS’ The Great American Read. If you would like to reserve a copy ($26), and we already have your information on file you can send a quick, simple email to us by Clicking Here! Robert McCammon will be a guest author at the 5th annual Catfish Book Festival, March 2nd, 2019, from 10 AM to 3 PM, Athens-Limestone County Public Library, in Athens, AL. For more information, visit the library website. Robert McCammon will be one of the attending 2019 Alabama Book Festival authors! The festival will take place on April 13, 2019, at Old Alabama Town in Montgomery, AL. For full information about the festival, visit their website. You can find a list of all the attending authors here. The schedule of panels will be posted around March 1, 2019. SOLD!! NYT bestselling author and current publisher of Cemetery Dance, Richard Chizmar’s graphic novel SEASONS OF TERROR, featuring the adaptations of four classic stories by legendary authors Stephen King, Ray Bradbury, Shirley Jackson, and Robert McCammon, to Ed Schlesinger at Gallery 13, by Kristin Nelson. 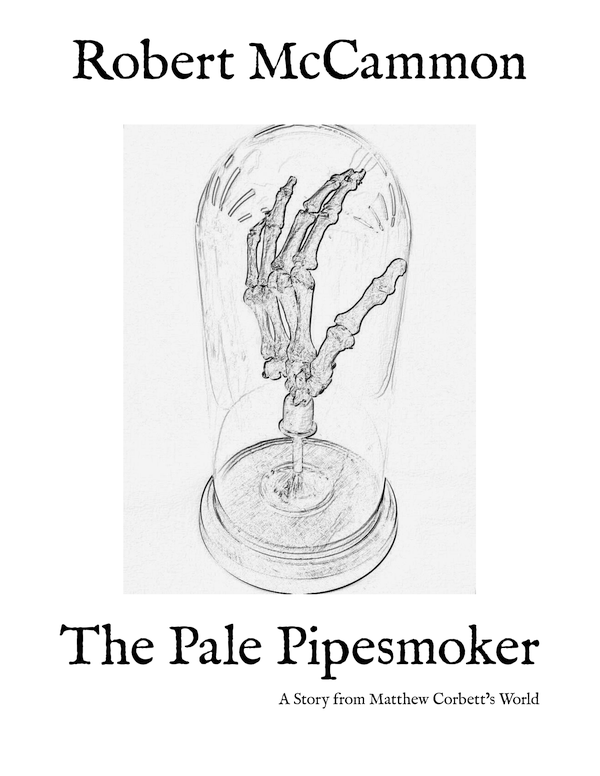 More news when I have it….